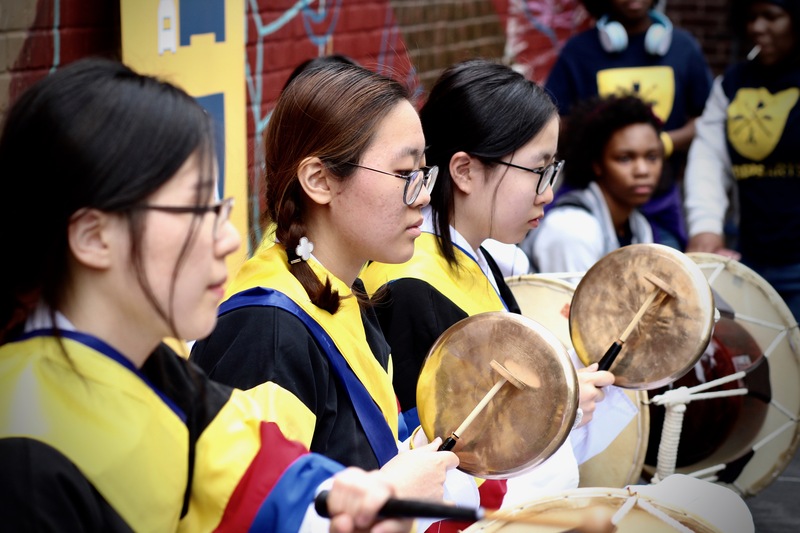 Despite some rain and wind at the beginning of the day, the weather cleared up as Democracy Prep held its fourth and most successful Korean Street Festival yet on May 20. Thousands of guests made their way to join our friends in the Harlem community for a day of amazing food, performances, and celebration of culture. For the first time, the Korean Street Festival was kicked off by the making of bibimbap in a large bowl in front of the stage. Our KSF hosts and scholars, along with members of the Korean Cuisine Globalization Committee, came together to mix the ingredients of the traditional Korean dish in a show of unity. But it was our scholars from our Korean and arts programs that stole the show as the Freedom Prep Elementary singers, DPE Dream Chorus, HPM Dragon PRIDE Steppers, and more brought the crowd to their feet. 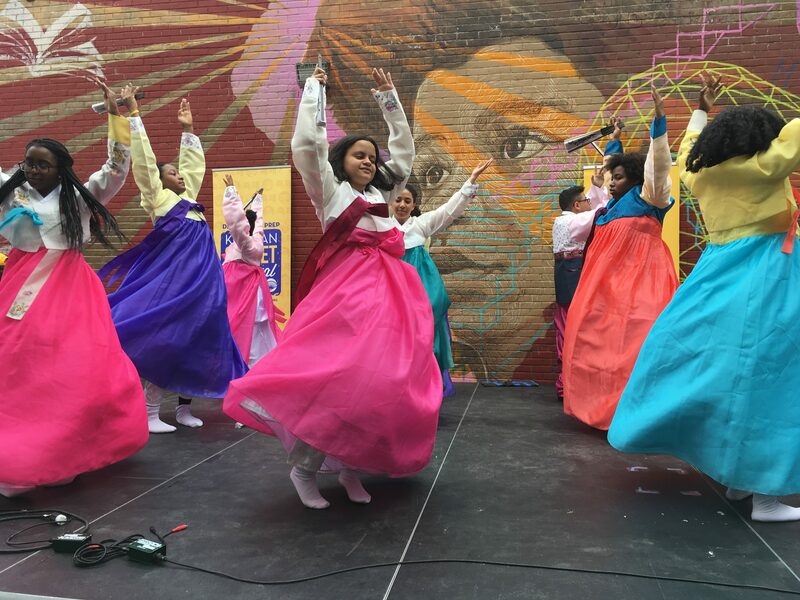 In keeping with the theme of the festival, our Taekwondo demonstration, DPHE Korean Club Singers, and scholars dressed in traditional Korean hanboks, performed several Korean songs, dances, and took part in a hanbok parade showing the KSF crowd their unique Korean attire. This year’s festival showcased the widest variety of Korean dishes to date. While the usual traditional dishes such as Bibimbap, Kimchi, and rice cakes, were among the favorites, the new addition of Korean pizza from Pizzamaru proved to be quite popular amongst our festival goers. Continuing the list of firsts at KSF was the addition of a virtual reality station where guests could try a ski jump through a virtual reality headset from the Korean Tourism Organization. Those wanting a Korean experience in-person were in for a treat as guests were able to try on hanboks, play Korean games, and learn their name and other phrases through Korean calligraphy.